​Manchester United have moved to steal a march over European rivals in the race to sign PSV starlet Steven Bergwijn after asking the Dutch side to be kept informed on any plans to sell. United are apparently among a number of heavyweight clubs on the continent which are tracking the winger, with Liverpool and Inter also said to be interested in signing the 21-year-old, who is valued at £25m. According to the ​Mirror, ​Bayern Munich have also now registered their interest in the forward, and that has promoted ​United to ask PSV to be notified of any developments. A former Ajax youth academy star, Bergwijn has provided nine assists so far this season as his side look to claim a third Eredivisie title in the last four seasons. 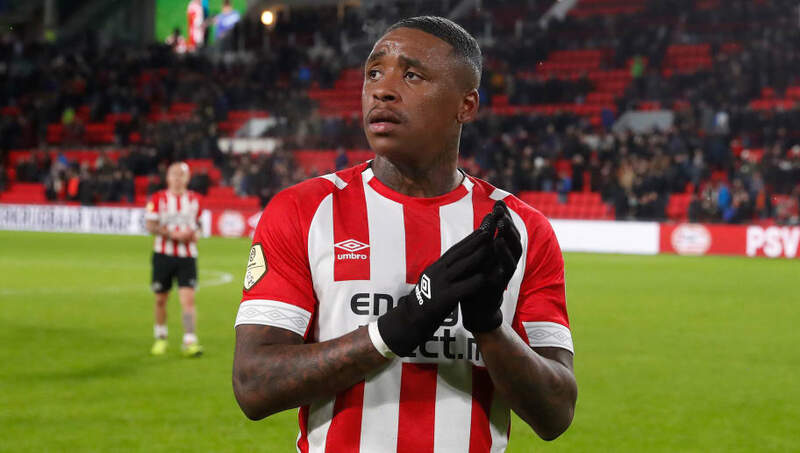 Bergwijn has also scored ten goals for his side this season, but it was his performance during PSV’s 2-2 draw with FC Emmen which apparently impressed United most recently. Scouts of the Premier League side were reportedly watching to see how the youngster would perform in more testing conditions when PSV played at the 8,000-capacity De Oude Meerdijk stadium. PSV surrendered a two-goal lead to draw 2-2 in the match, but Bergwijn laid on his ninth assist of the season during the game and it's though that United’s scouts were impressed by the winger’s display. Bayern are also said to have had a scout in attendance in the game, with PSV apparently anticipating a bidding war among the interested clubs in the summer, with Bergwijn's contract due to run until 2022.